Whether you enjoy finely crafted micro-brews, gorgeous hiking, or big skies and open spaces, the Mountain West region has plenty to offer. However, if you’re going to live in the West, you need a durable home that can stand up to the inevitable wear and tear. Windows are often vulnerable to significant decay and erosion, so it’s important to buy durable windows for your home in the Mountain West. In general, the Mountain West includes Idaho, Montana, Wyoming, Colorado, Utah, and Nevada. This climate is highly diverse, including plains, mountain ranges, and everything in between, but there are a few constants. The landlocked Mountain West tends to be a dry region with abundant sunlight and large fluctuations in temperature. The summers may be brutally hot, and the winters can be frigid. Expect substantial snowfall in the winter, especially if you’re in the Rockies, and blistering heat in the summer, especially if you’re in the southern portion of the region. Homeowners should look for durable windows that can keep your home’s temperatures as constant as possible. Vinyl is a versatile and highly energy efficient building material for durable windows. Its energy efficiency makes vinyl a great material for durable windows in the Mountain West, as vinyl frames can guard your home from the significant temperature fluctuations. Likewise, fiberglass is also an excellent material for durable windows. Low-maintenance, and even more energy efficient than vinyl, fiberglass is a sound choice for your windows. More expensive than vinyl, fiberglass makes up for the extra cost with its excellent durability and its ability to be customized to look like wood. Wooden window frames are classic and provide excellent insulation, but they require much more maintenance than fiberglass or vinyl. If you choose wooden frames, they'll keep your home snug, but expect them to require regular maintenance. Additionally, the Mountain West is home to cowboy culture, so the classic wood is a great stylistic choice for durable windows in the region, as it will mimic the rugged landscape and give your home that special Wild West touch. If you have a Ranch-style home, wooden casement windows are a great choice and will add to your earthy aesthetic. Homeowners in the Mountain West should avoid aluminum window frames, especially if you live in the hotter southern portion of the region. Even though they’re strong, aluminum window frames tend to easily conduct heat, making them unfavorable additions to your home when the summer rolls around. 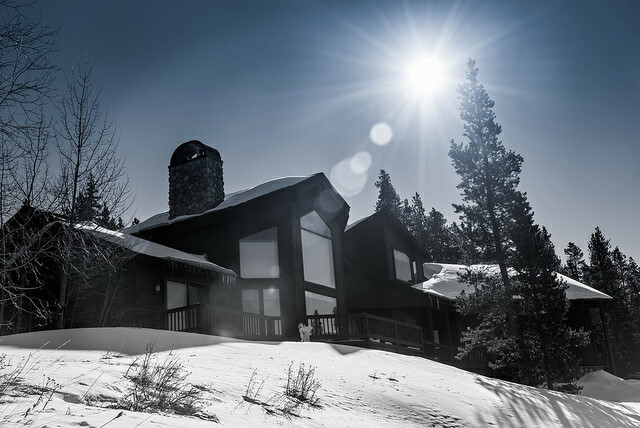 The best and most durable windows for the Mountain West should have high-performance glass. Quality window panes will ensure that your home stays comfortable during all of the region's temperature fluctuations. Double or triple-pane windows with low-e coatings should keep your home snug in the winter and cool in the summer. Homeowners should consider spectrally selective coatings, which are a type of low-e coating that will prevent heat gain or loss while still allowing all of the region's beautiful sunshine into your home. The most important factor to consider in the Mountain West is the temperature fluctuation. The most durable windows for this region should seal tightly to keep your home’s temperatures stable.